Choose the Kathy block stripe bobble hat for the chillier days this season and enjoy a warm and cosy hat that's not only practical but stylish too with a classic home-spun look. 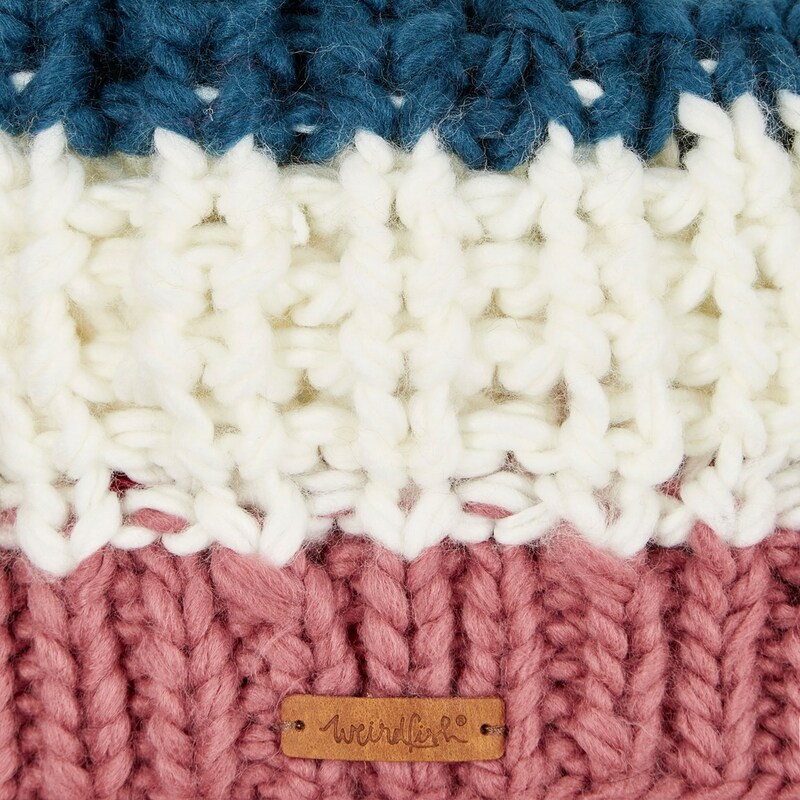 This hand made hat includes a stylish block stripe pattern in contemporary muted colours that are perfect for the winter season. 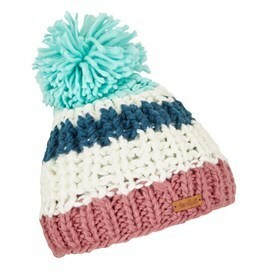 Available in Deep Sea Blue and featuring a large pom-pom, a ribbed knit band and a small leather Weird Fish badge. Why not match with our Valentina block stripe scarf in the same pattern to create a stylish but incredibly warm look. Lovely fit on my teenage daughter and nice and soft! Unfortunately this was far too tight for my partner and she didn't like wearing it. It felt like a tight band around her head, and her head is not that big! Lovely looking hat again not good fit for me. I do have a small head so hard not easy to find that fit. No reflection on this particular one.